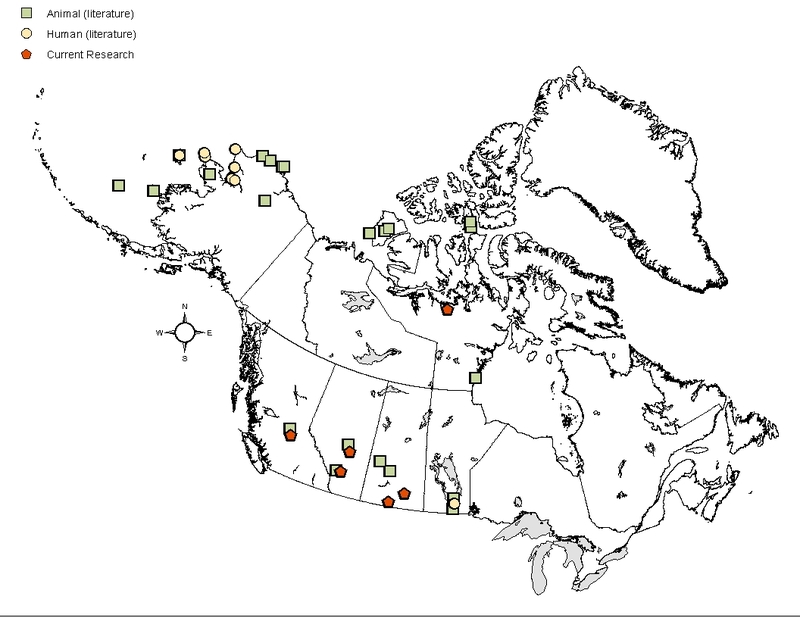 A recent publication in Emerging Infectious Diseases reports a European strain of a pathogenic cestode (Echinococcus multilocularis) in a dog in a non-endemic region of Canada, presumably as the result of recent introduction from Europe via translocation of dog(s) or red fox. 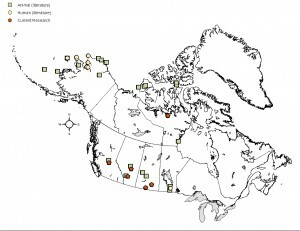 This work was headed by researchers at the University of Saskatchewan and was conducted in collaboration with a number of regional biologists and local trappers, the government of British Columbia, and the Universities of Calgary and Guelph. Subsequent investigations of wildlife definitive hosts from central British Columbia reveal that this strain is established in red fox and coyote in this region, suggesting that this parasite has emerged in a newly endemic region of North America (K. Gesy, E. Jenkins, H. Schwantje, unpubl. data). North American strains of this parasite are known to occur in the three prairie provinces and throughout the territories. 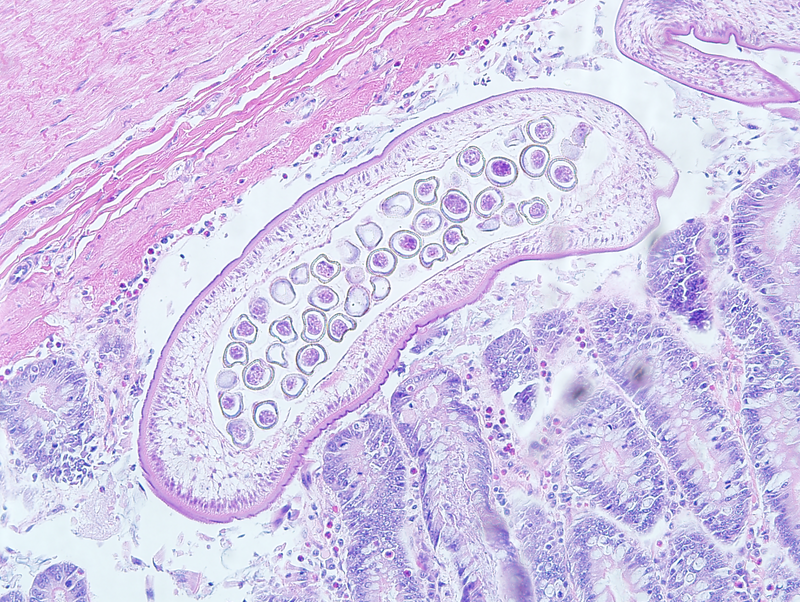 This finding has significance for both public and veterinary health, as E. multilocularis is the cause of alveolar hydatid disease (AHD) in people and other aberrant intermediate hosts. 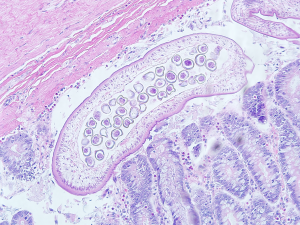 The European strains of E. multilocularis may have greater potential to cause AHD in humans than North American strain(s). This pathogen is emerging world wide as a result of anthropogenic translocation as well as changes in climate, landscape, and wildlife-human interfaces.